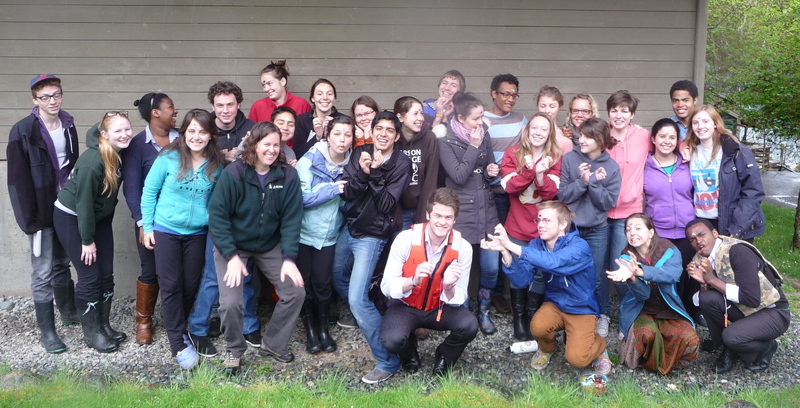 All three first year Marine Science classes made it out to Race Rocks on Wednesday 10 October. We saw many, many, many California and Northern sea lions. The newly minted Coastal Biodiversity CAS also had the opportunity to visit Race Rocks with Garry Fletcher on Friday afternoon. During that visit we saw a necklaced sea lion and we came across a dead Northern sea lion. We also had a reunion of two Year 38 students, Laas, the current Ecoguardian at Race Rocks, and Helen, who is back at Pearson College for a two week visit. Incidentally these were the two artists who painted my VW van!! Again, this is cheating a little bit since Nicholas Macfarlane (PC 28) was not in Marine Science. He was in the Diving activity at Pearson College though and he is now studying marine mammals. 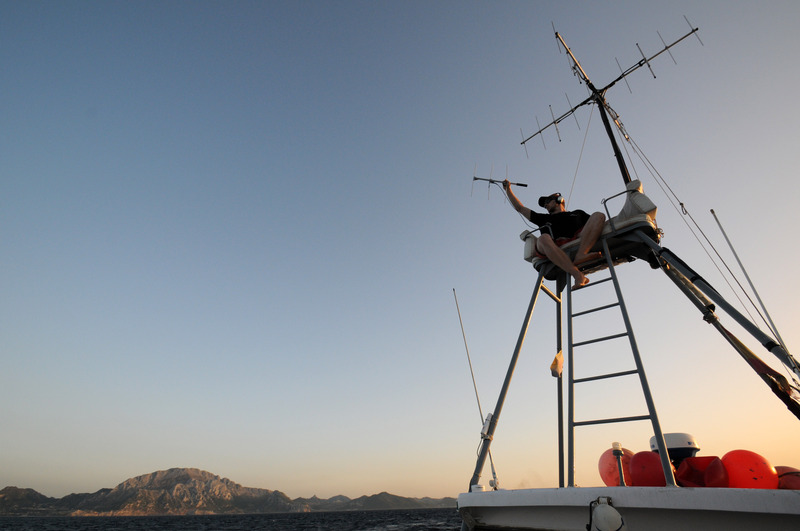 In the photo above (Woods Hole Oceanographic Institution Image of the Day http://www.whoi.edu/image-of-day/all-ears), Nicholas is listening for pilot whales in the Strait of Gibraltar. Below Nicholas is using a 3D stereo camera system to determine distances between pilot whales when at the surface as a means of studying their behaviour. Credit for both photos: Frants Jensen. 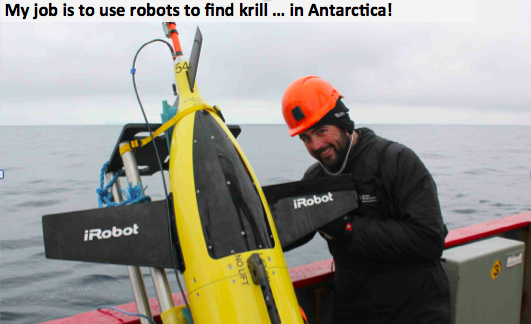 Again, this is a bit of a cheat since Max Kaplan (PC 33, Ontario) was not in Marine Science, but he was in Biology and Diving and he is and has done a great deal of marine science since leaving Pearson College – so I’m going to claim him! Max recently completed an undergraduate degree in Biology at the University of St. Andrews and has just published a paper from his work with T. Aran Mooney in the summer of 2011 at Woods Hole Oceanographic Institution (WHOI), where he is currently a graduate student. In the photo above by his supervisor at WHOI, Max is in the US Virgin Islands installing a digital acoustic recorder on a coral reef. Good luck with your graduate studies Max and please keep us posted! 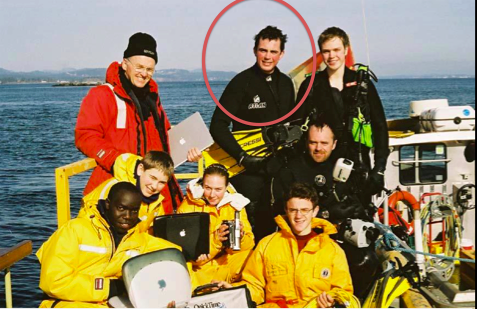 Although this is a bit of cheat since he wasn’t in Marine Science (only because there was no ‘Marine Science’ in his time at Pearson College), Damien Guihen (PC 27, Ireland) was a student of Biology and Physics, and Diving, and Race Rocks. He is a marine scientist to his core though!! After leaving Pearson College Damien completed a PhD in Physical Oceanography at the National University of Ireland, Galway. 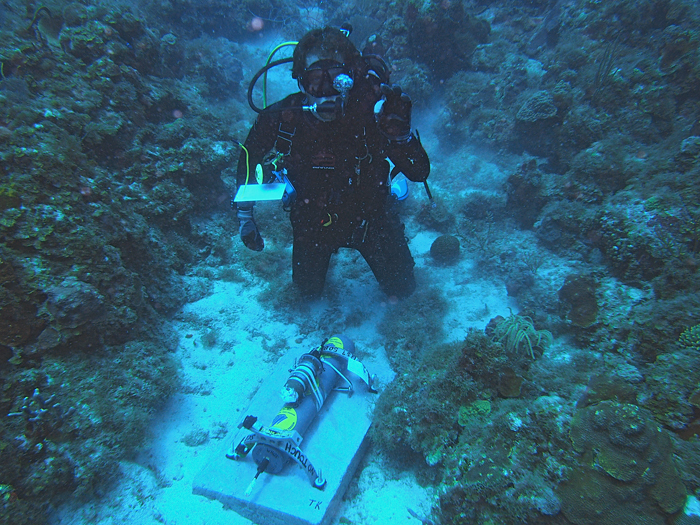 He investigated abiotic factors including flow dynamics at a cold-water coral reef ecosystem off the coast of Norway. 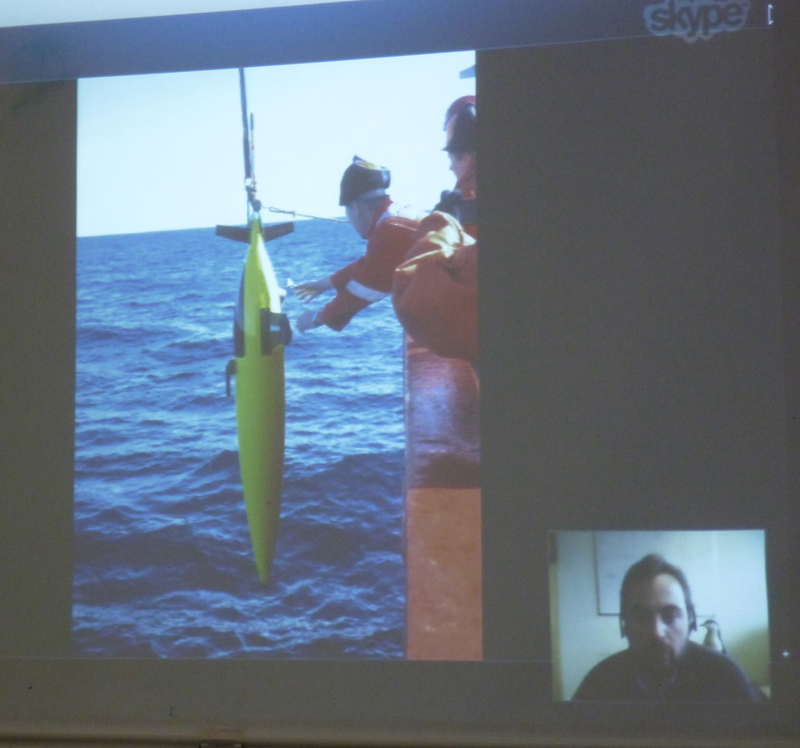 Second year Marine Science students were very fortunate to have Damien speak to them via Skype on Monday 18 March (A block) and on Tuesday 19 March (F block). 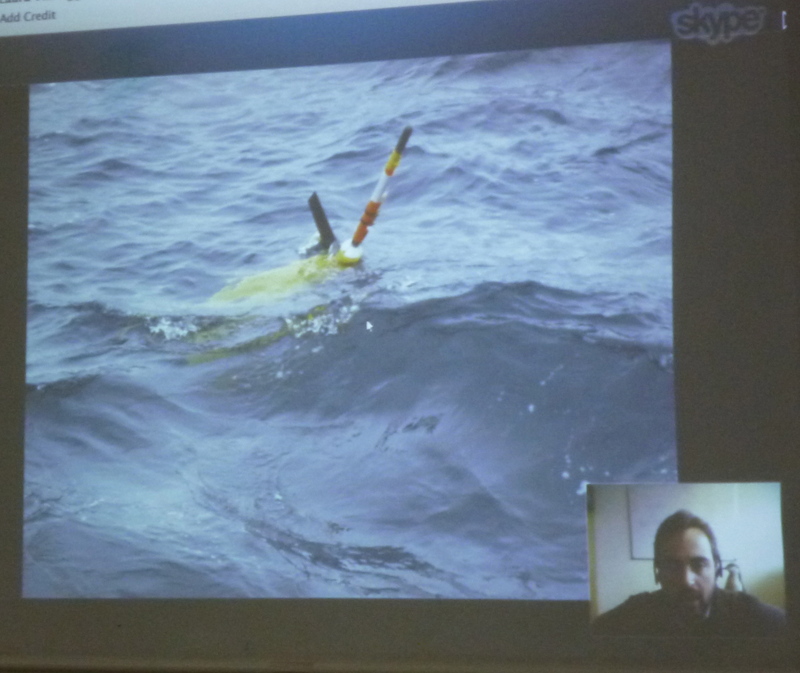 Damien explained to us how he uses the glider pictured above (and below) to map krill populations in the Antarctic using sound signals. 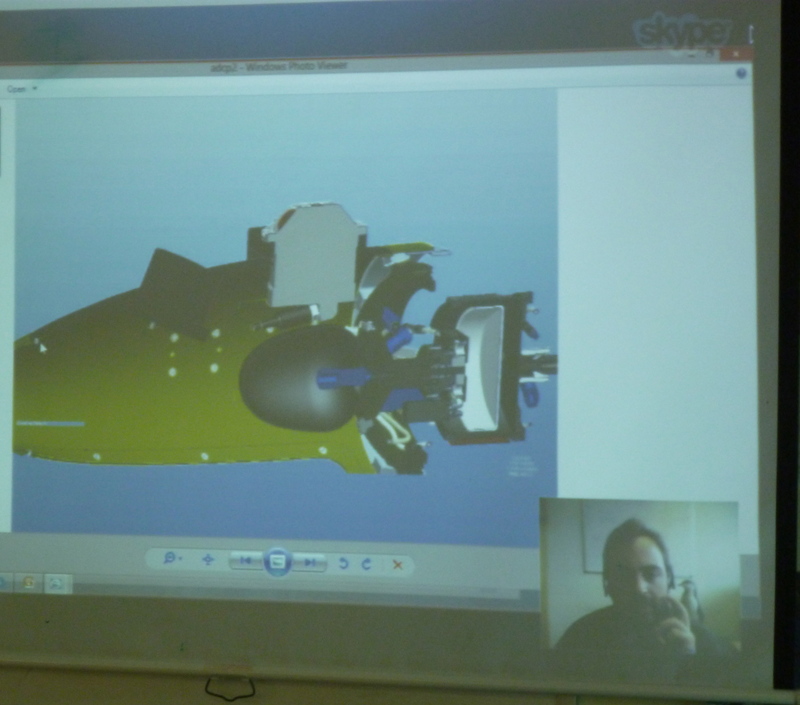 Damien also explained how the gliders are controlled and how their buoyancy is regulated using the diagram above. Very, very cool technology! 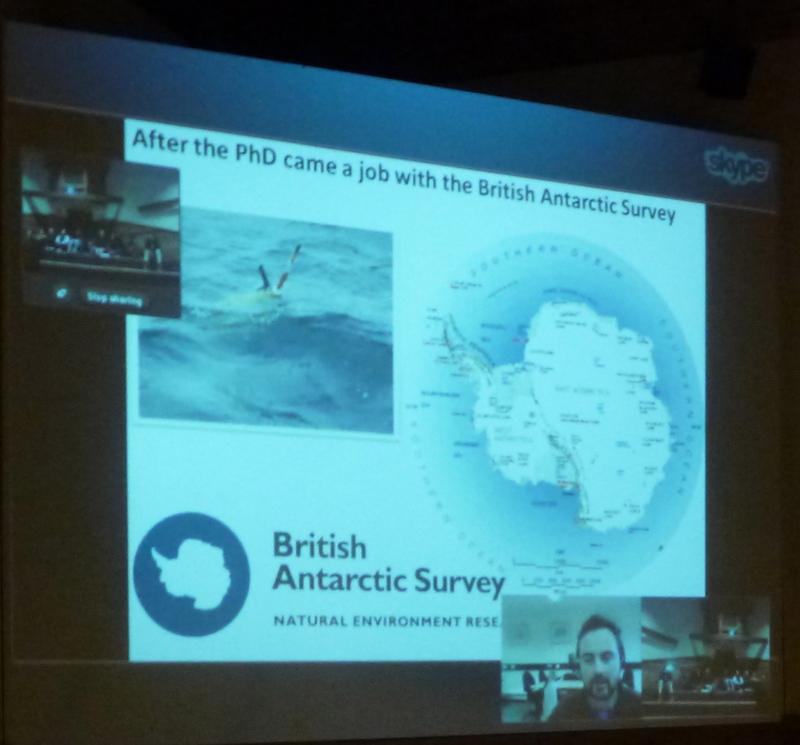 Many thanks to Damien Guihen for sharing his knowledge about the Antarctic, gliders & krill and more generally for his wonderfully warm enthusiasm! P.S. If you look very carefully in the Skyped images of Damien you will see one of his colleagues just behind his shoulder – one of his chinstrap colleagues! P.P.S. For more details on his work (from Damien himself) see his guest post on the Seabed Habitats blog. 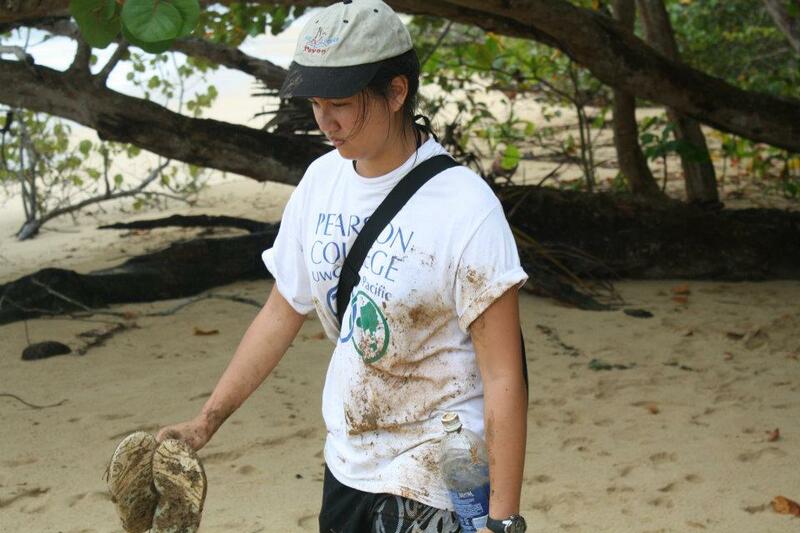 Lee Qi (PC 35, Singapore) was part of the very first cohort of students in Marine Science at Pearson College. 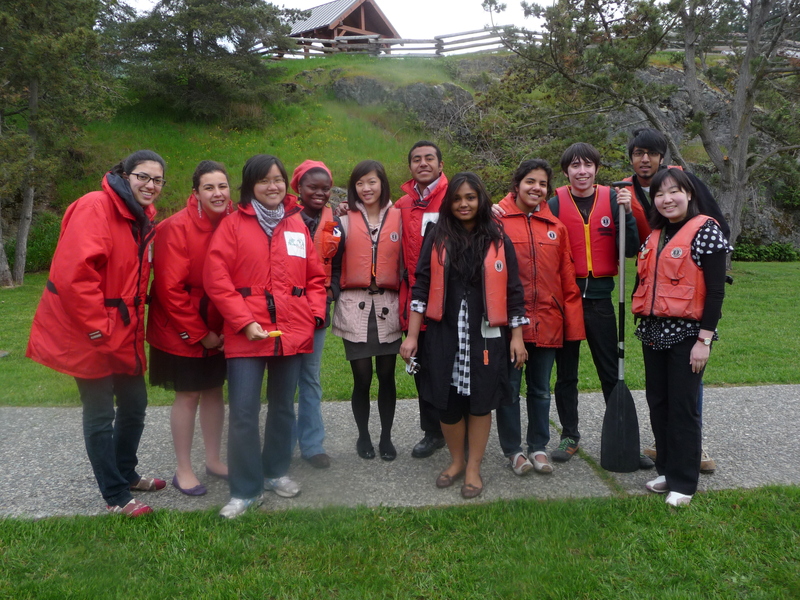 Lee Qi (third from the left) at Pedder Bay Marina in April 2010. 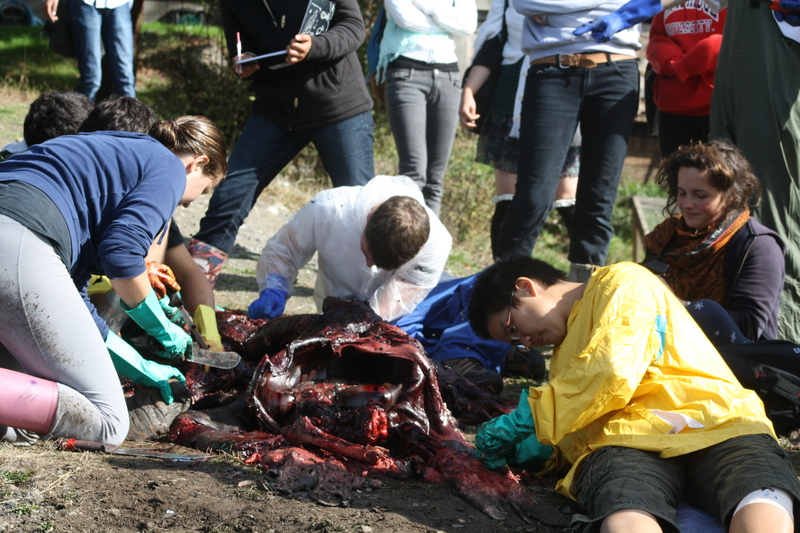 And in the yellow jacket participating in a sea lion necropsy in September 2009. 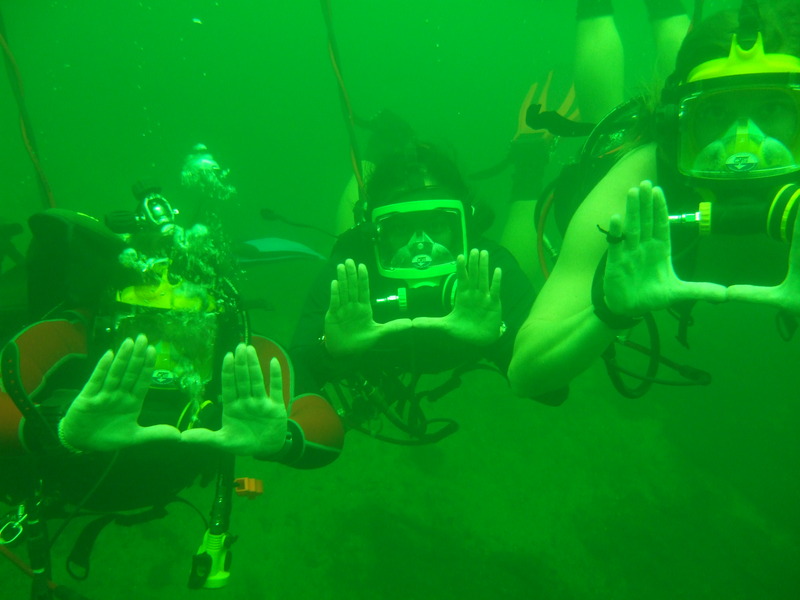 After her two years at Pearson College, Lee Qi went on to study Marine Science at the University of Miami. 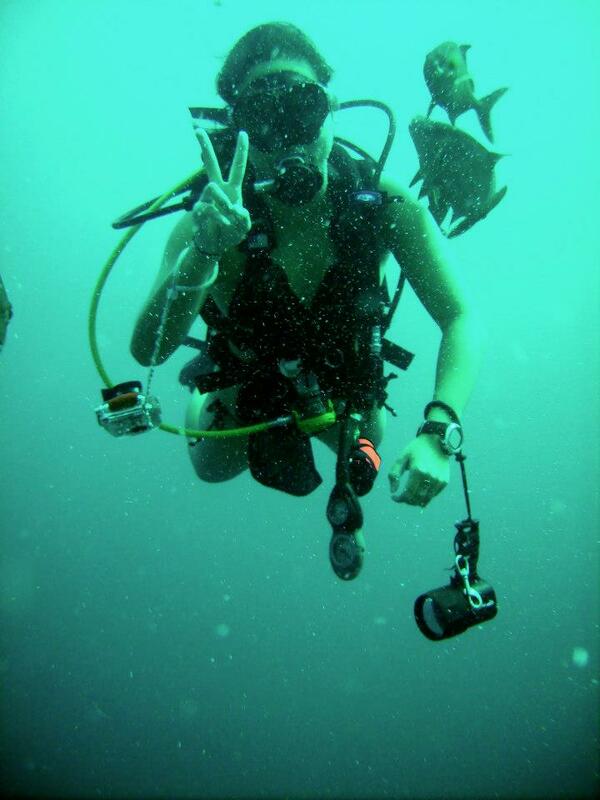 She is currently a junior there and also the co-president of the University of Miami Scuba Club. Lee Qi (in the middle) diving with a full face mask at Little Salt Spring as part of her Research Diving course. In 2011 she volunteered to help rehabilitate stranded pilot whales. Lee Qi is second from the right in the photo above. She also travelled to Panama to do a course in Coastal Management. Students in the class were testing the suitability of various beaches for turtle nesting – here is Lee Qi, sporting Pearson College and Race Rocks gear, on one of those beaches. Next semester Lee Qi is traveling to the Galapagos Islands as part of a marine science study abroad program. No doubt she’ll have many amazing adventures there and we hope she’ll keep us posted! …is in the mouth of a sperm whale! Erickson (PC 36, USA) is currently attending College of the Atlantic (COA) where he has had the opportunity to do some very unique necropsies. A 50 foot / 15 m long adult sperm whale, a 20 foot / 6 m long humpback whale calf and recently a 6 foot / 2 m long male leatherback turtle. Erickson is the one in the white suit and yellow hard hat to the left of the large vertebral column above. Next term he is participating in a SEA semester program called “Sustainability in Polynesian Island Cultures and Ecosystems” during which he will spend a month in Woods Hole, Massachusetts then seven weeks on a schooner, sailing from Tahiti to Hawai’i. While at Pearson College, Erickson was a very keen Marine Science student and diver and he was instrumental in the necropsy and articulation of the California sea lion skeleton that is currently hanging in the floating lab. 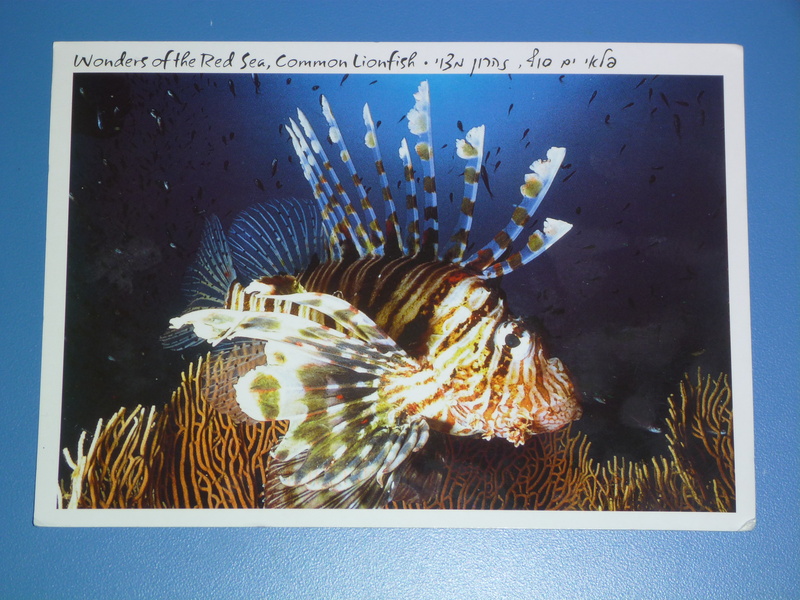 Last week I was very excited to find in my mailbox a postcard from Israel with a lionfish on the front. Even more exciting was that the postcard was from Ellen (PC37, Denmark) who has been diving in the Red Sea with lionfish, moray eels, scorpionfish and clownfish. Ellen also saw very large sea turtles and was still hoping to see dolphins and manta rays when she wrote. She is completing her dive master certification in the 24 degree Celsius water of the Red Sea, but claims that she misses canadian waters. 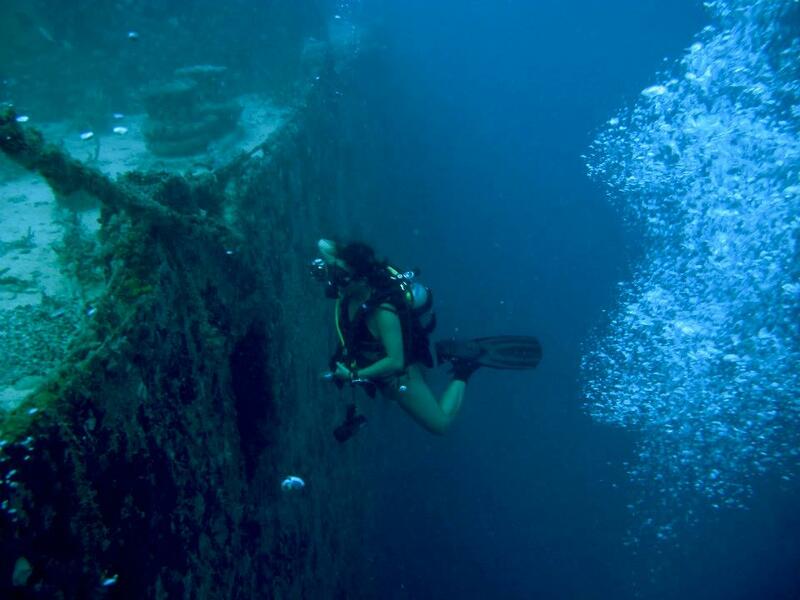 Ellen was a student in both Marine Science and Biology and a very active diver during her time here at Pearson College. She also participated in reconstructing the sea lion skeleton that is currently suspended in the floating lab. UPDATE: 5 January 2013 – just realized that I didn’t include a photo of Ellen – just the lionfish postcard! 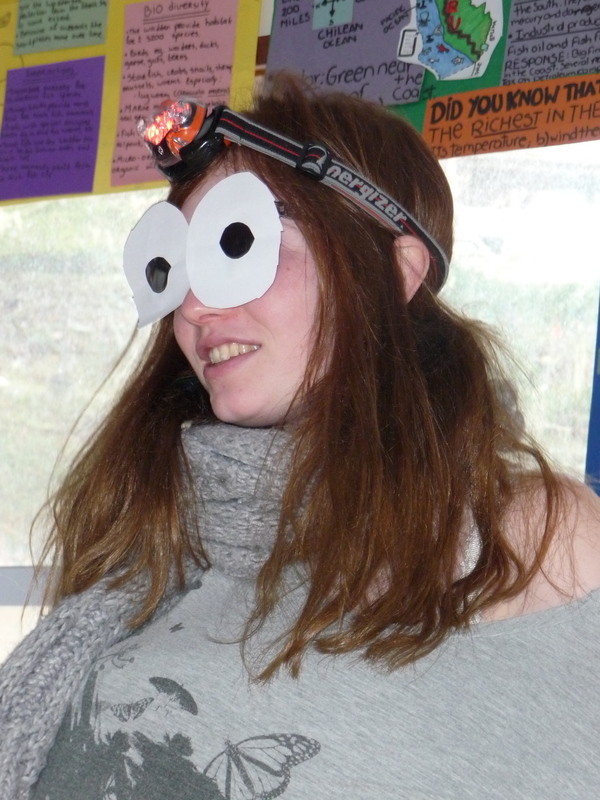 Here she is as a ‘chubby flashlight fish’ and middle right in the class photo below. 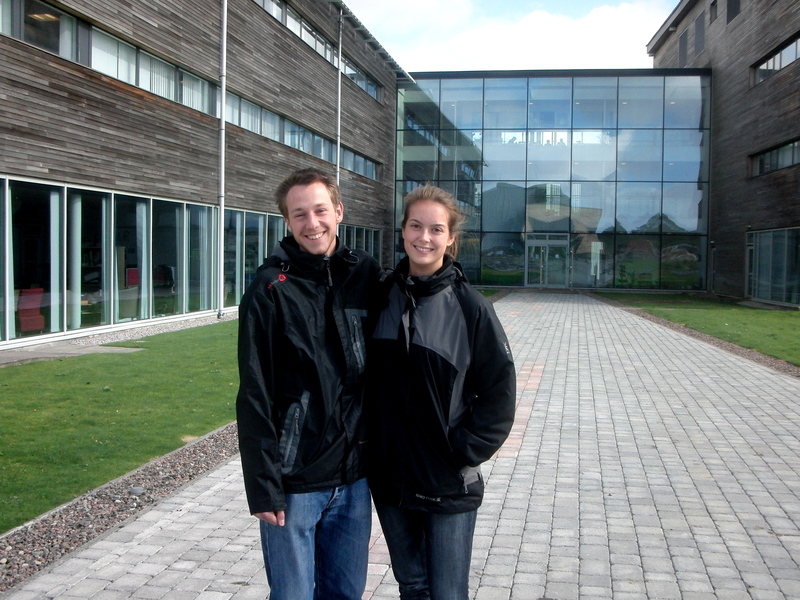 Felix (PC36, Austria) and Danielle (PC37, The Netherlands) recently began their first year of studies at the Scottish Association for Marine Science (SAMS) in Oban, Scotland. 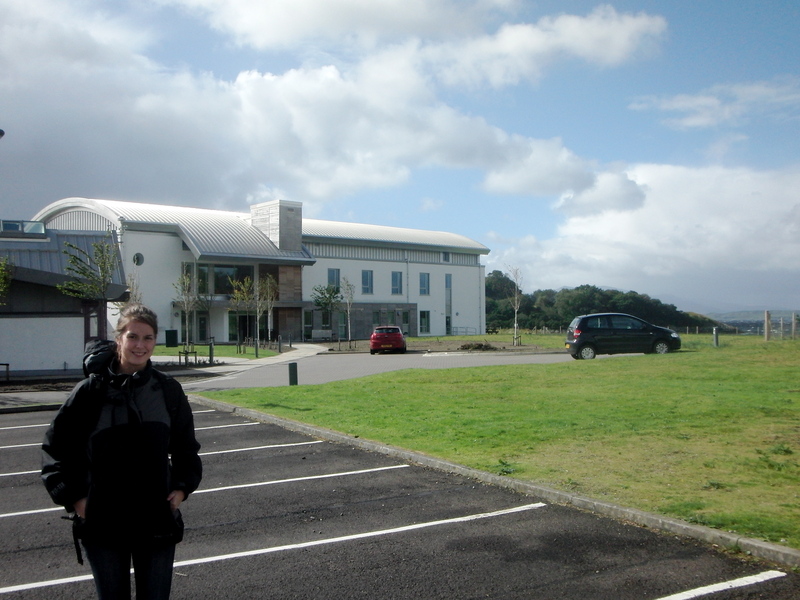 This is one of the campuses of the University of the Highlands and Islands and it is located on the west coast of Scotland. Danielle (above in front of the SAMS academic building) and Felix were both students in Marine Science and very active divers. We look forward to hearing about their marine adventures in Scotland and beyond!